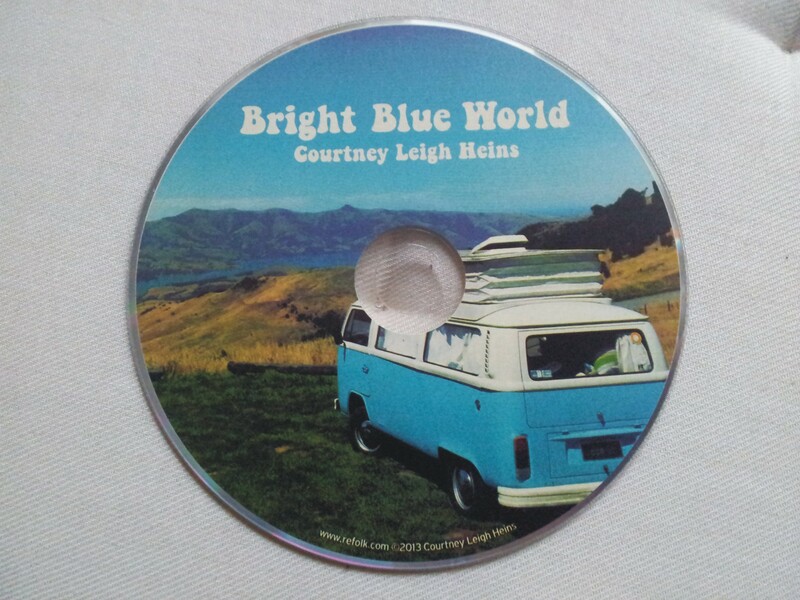 There is a new video of Courtney Leigh Heins on Youtube, performing one of the songs from her new album for the Park City TV from the Sundance Film Festival last month. 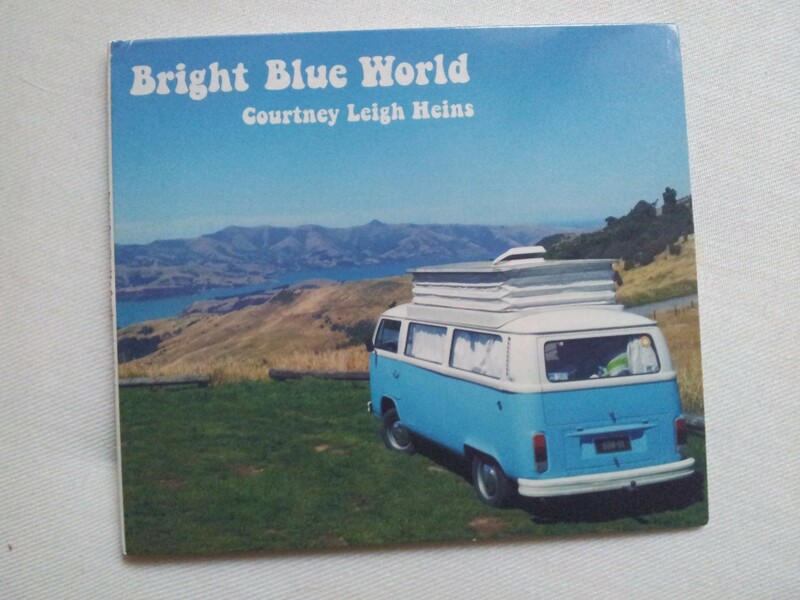 Our New Zealand kombi cover photo gets some nice screen time as well, but mainly it’s a great song. So here is some more promotion, from the proud photographer, for the new album. Go and have a look! Catch them while they are young! 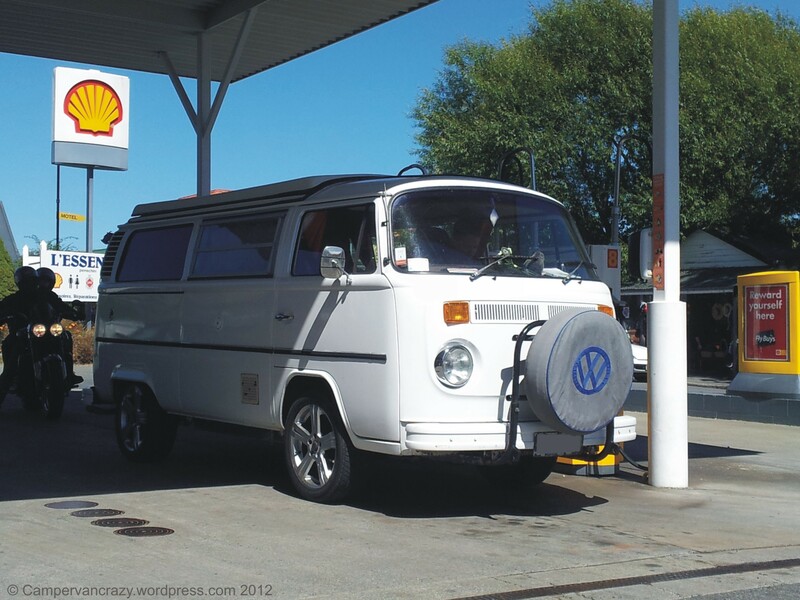 Happy older kombi fanatic with happy young VW fan. Photo taken some two months ago in Wellington, New Zealand. Greetings to Nicole – your lovely baby shoes in action! We are back in Berlin, after three months of travelling in Australia and New Zealand. All made possible by the generous German parental leave laws and our gorgeous baby daughter who was three months old when we started and has now just turned 6 months. To make the trip a bit easier for her, we had split the flights from Germany to Australia with a two-day stopover in Singapore on both ways. In total we travelled about 41.000 km: 500 km by rental car and train from Berlin to Frankfurt, with a stopover in Marburg to drop off our doggy and say good bye to the grand parents. Then 10.250 km in an Airbus A380-800 to Singapore, a further 6.000 km in a Boing 777-300 to Melbourne, later 2.600 km from Melbourne to Auckland, 2.400 km in a campervan in New Zealand, 2.400 km from Christchurch back to Melbourne and 16.750 km for the return trip from Melbourne via Singapore, Frankfurt and Marburg to Berlin. 41.000 km is about the distance once around the world, so New Zealand really seems to be at the other end of the world from a German point of view (also 12 hours time difference). 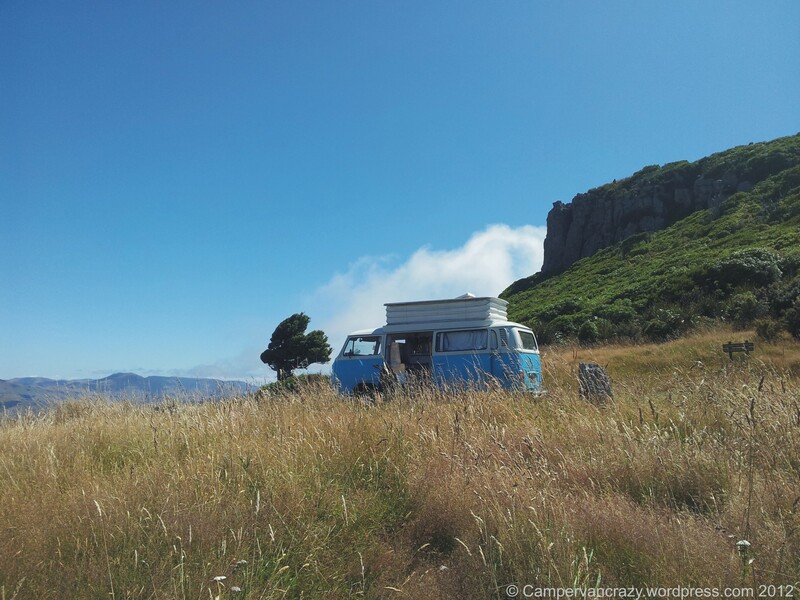 Now here are a few afterthoughts about our campervan trip through New Zealand: Our rental van, a 1975 Devon camper conversion from Classic Campers, came with the standard 1600 cc boxer engine, upgraded with an electronic ignition kit. The average fuel consumption over 2400 km was 12.7 L/100km (18.5 mpg), and we needed to refill only about 0.75L of oil (20W-50). I guess these are pretty good values for such an old engine. Below is a snapshot of the little motor. 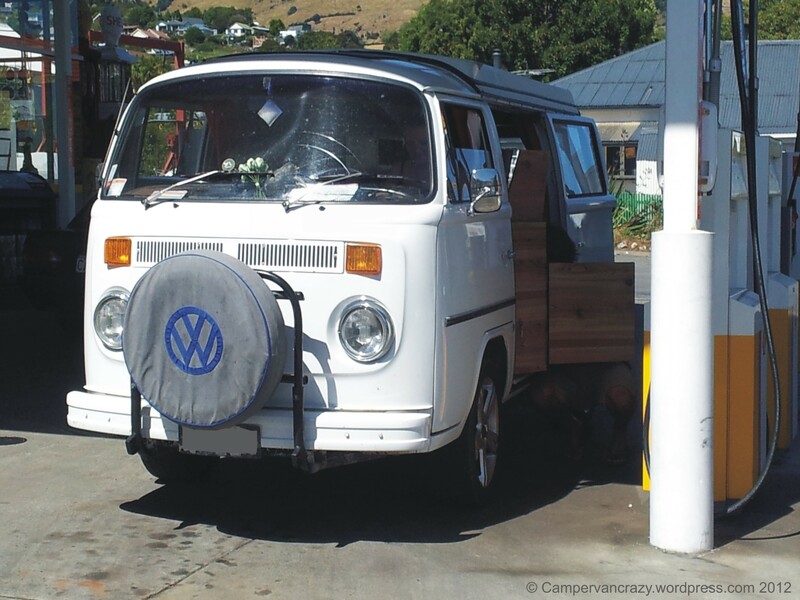 Based on the VW engine letter code AE, VW built this engine into kombis only in 1971. So it seems the original motor of our 1975 bus was at some point replaced by this AE motor. 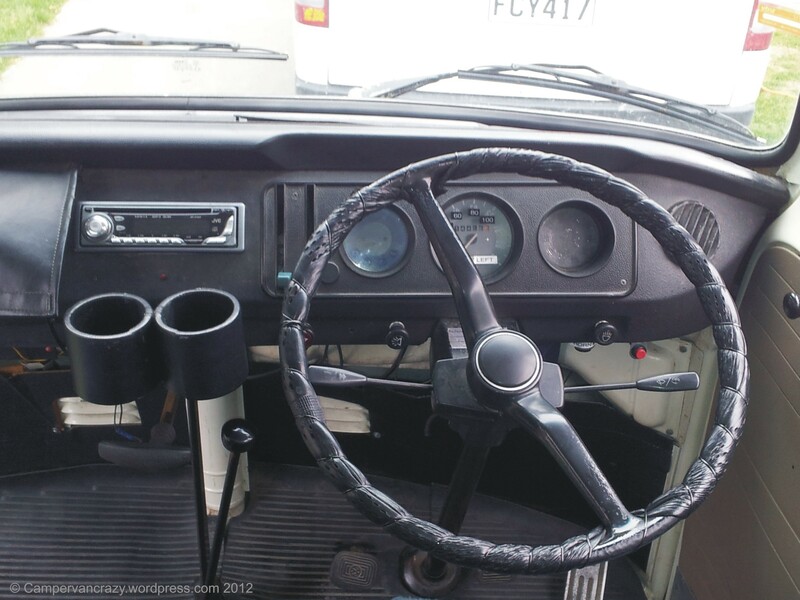 Below is also a snapshot of the beautifully minimalistic dashboard of this right hand drive T2b bus. 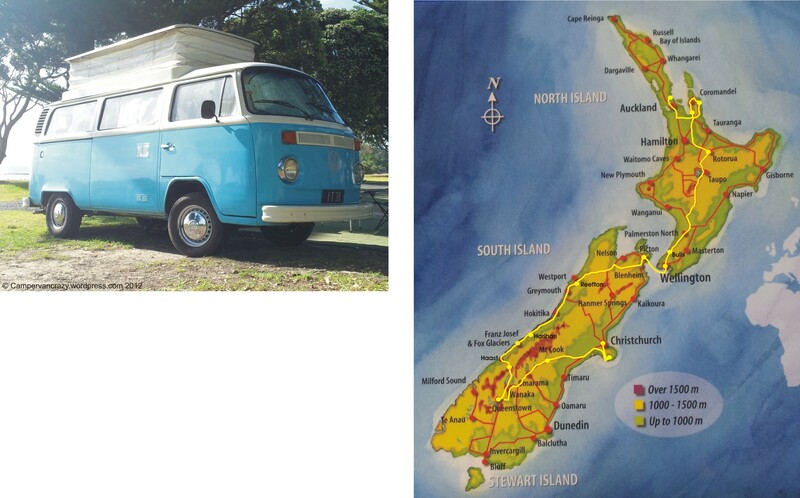 Our campervan and our route through the North and South Island of New Zealand. 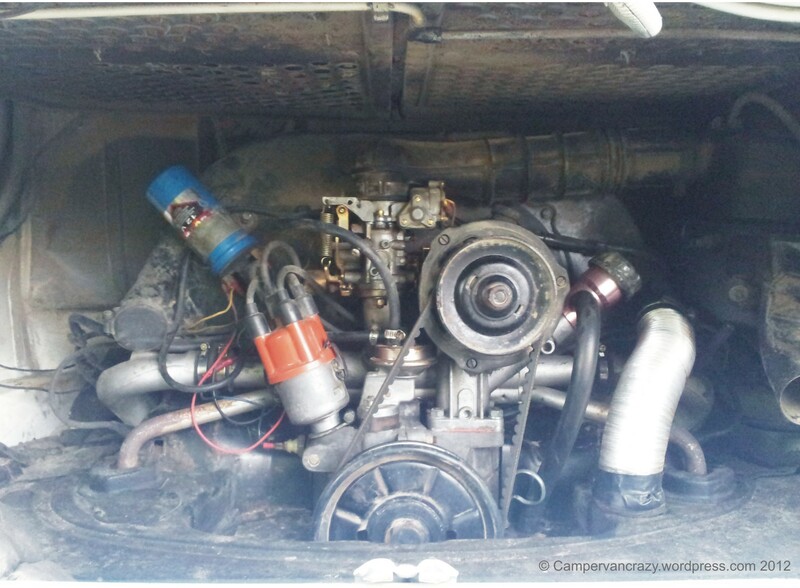 The air-cooled 1600 cc flat four boxer engine of our van (AE motor). Minimalistic dashboard of a 1975 VW campervan. Travelling with a baby turned out to be more challenging than we had expected. 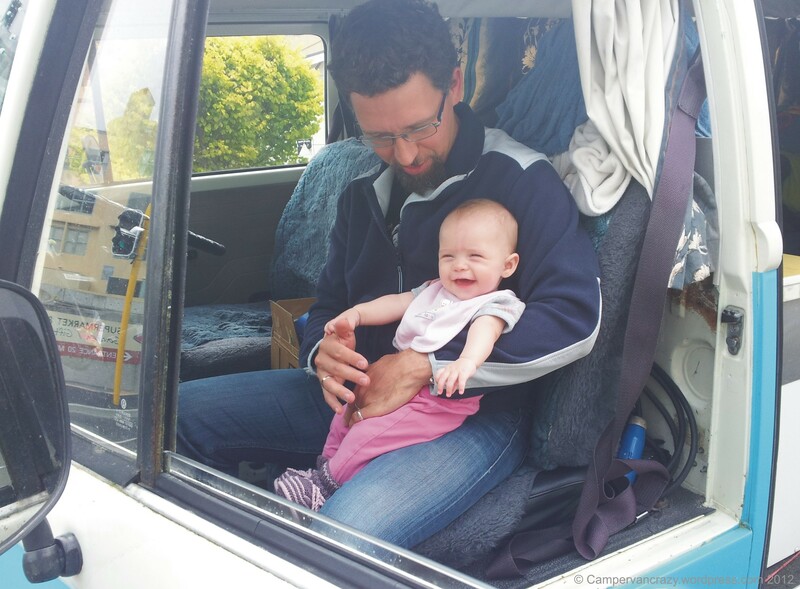 My wife and I have been travelling in a similar VW bus for eleven years, but putting a baby in the equation made everything a bit more difficult. Admittedly, this is certainly also true for our life at home in Berlin, now with a baby. In the bus it took us some days to develop our daily routines around the little one. The driving itself was good when we timed our start with the end of her first playing phase and the beginning of her first nap. 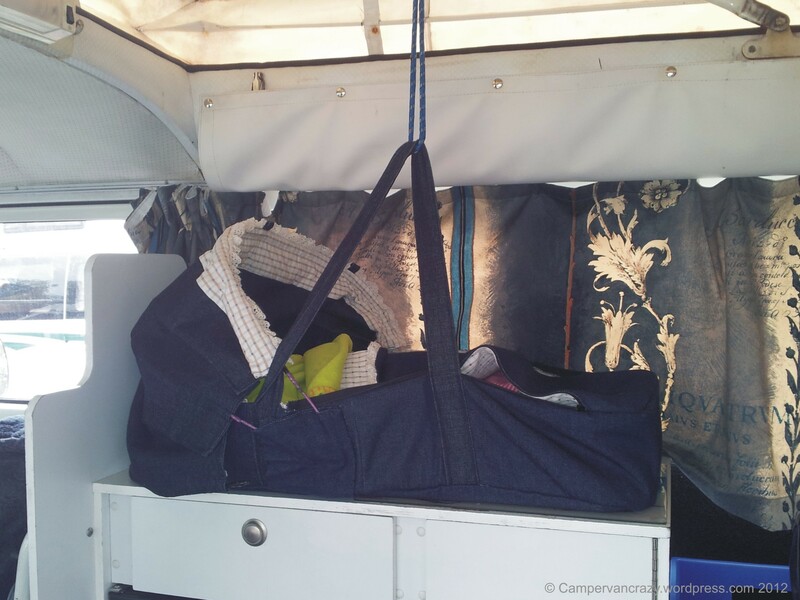 The baby capsule we got from Classic Campers was attached to the back bench via a base fixed with a 2-point-safety belt and worked well. Travelling with the baby just meant later starts in the morning, more breaks along the way for playing and feeding, and occasionally one of us travelling in the back to entertain her during longer drives. Obviously there is no separate bed room where we could put her asleep in the evening. We solved this after a few days by placing her bed onto the central kitchen block and securing it with elastic straps to the ceiling. We then built a tent-like structure around it, either from two large towels or an extra blanket, which provided her with some darkness while we had the rest of the evening for ourselves. Baby bed on kitchen block, fixed to the roof. Baby bed wrapped up in mosquito netting and with towels arranged around it to keep the light out in the evening. In retrospect, a wider bed would have been nice because the mornings usually started with the little one waking up early and having some play time with us in bed. 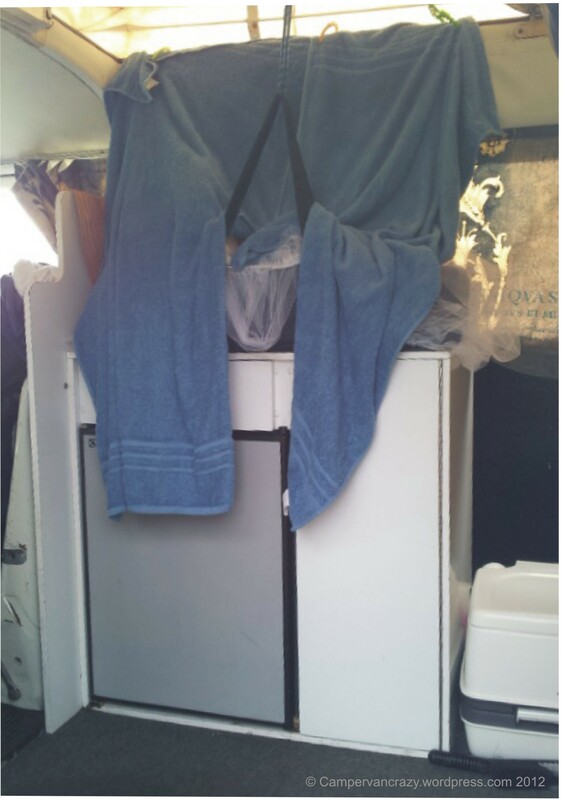 In this particular campervan conversion, the bed was narrowed by the sink unit. The next project with Taiga Lily, our bus in Berlin, will be to fit in a similar rock-and-roll bench/bed combination and I will make sure it will span the complete width of the bus. Now it is time to get back to everyday life in Berlin – with getting back to work next Monday (though only part time till our daughter will be one, in September), and with getting back to our bus, Taiga Lily, and the next steps towards making her a functional camping vehicle. 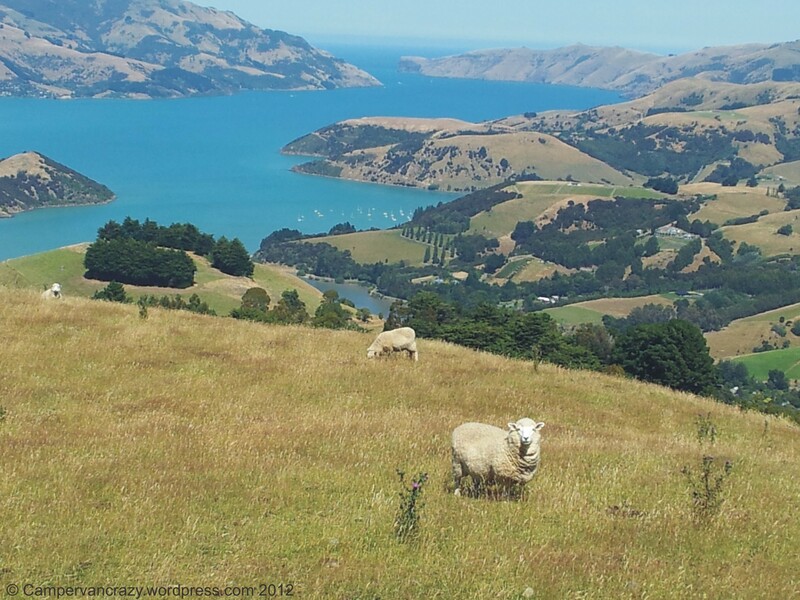 The small village of Akaroa was originally founded by French settlers in 1840. They were too late to claim the South Island for France as the British had arrived just a few days before on another part of the island. Today, many street names and shop names still are French. We began the day with a croissant in a café at the bay, then started the steep ascent to the Summit Road which runs along the edge of the volcanic crater that formed the peninsula. Our Lonely Planet travel guide called this route “absurdly beautiful” and that actually summed it up pretty well. 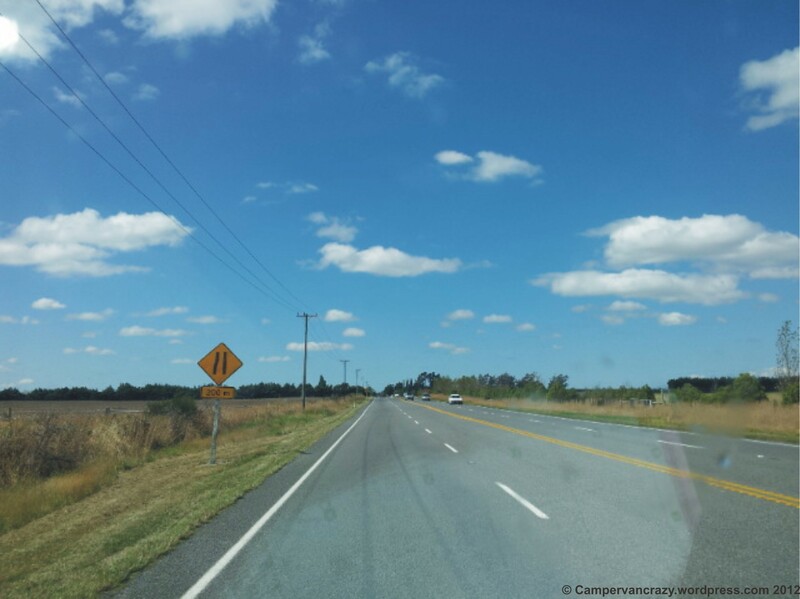 We were lucky with yet another summer day with clear blue sky and admired the views from this fantastic narrow and windy road. After a coffee break at a picnic site, we completed the circle around the volcano and headed down and north towards Christchurch. View from caravan park to Akaroa village and harbor. 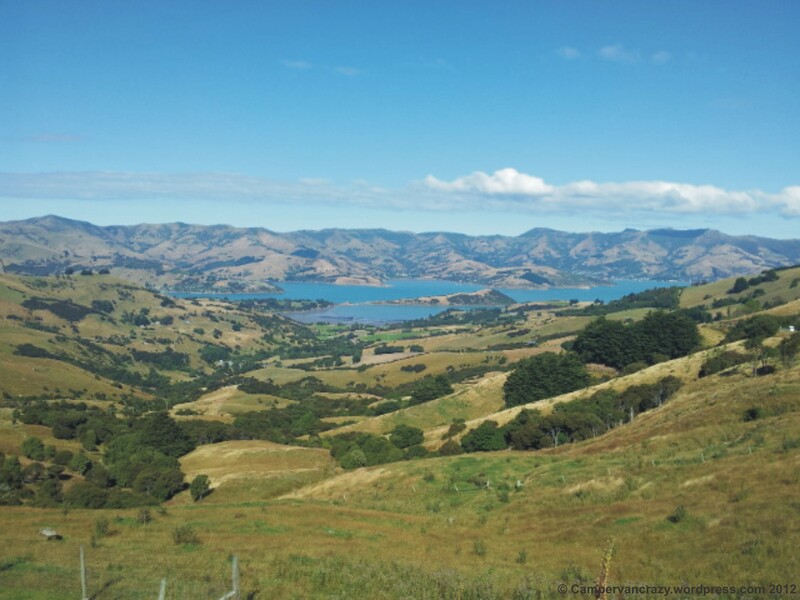 Panorama view from Summit Road onto Akaroa Bay. Road sign at Summit Road. Narrow Summit Road along the edge of the volvanic crater. Coffee break in the mountains. 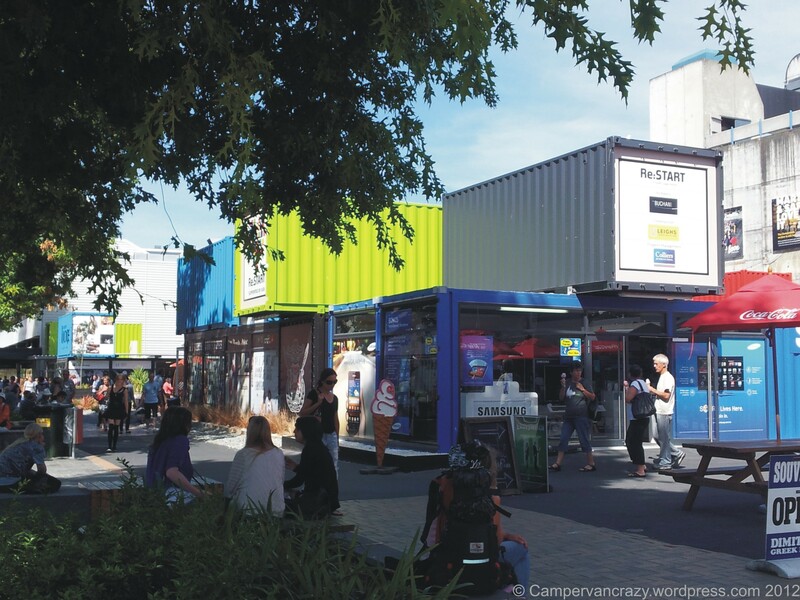 ReStart - new provisionary commercial center built from containers. Map of Christchurch city center, with area inaccessible due to earthquake damages marked in red. On the right, view eastwards into fenced off part of Cashel Street, corner of Colombo Street. 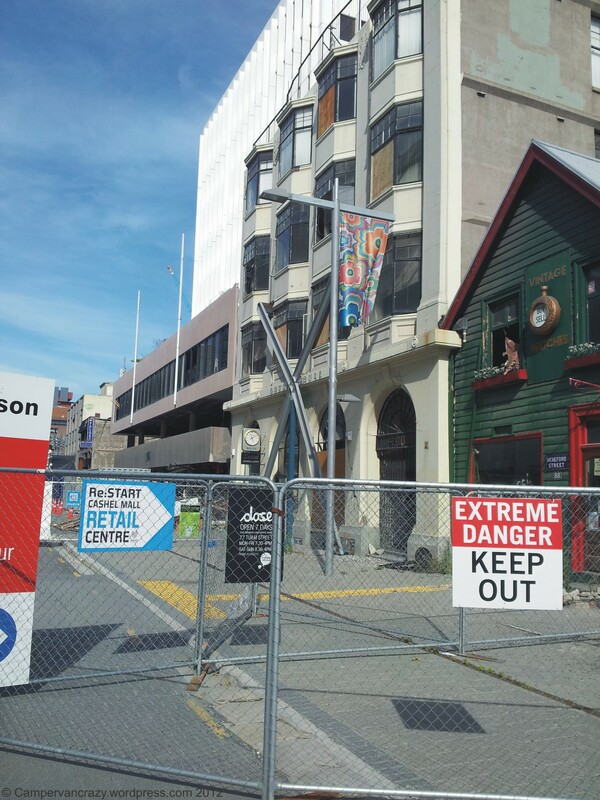 Christchurch Art Centre with attached metal braces as preliminary stabilization, and top of tower taken down and placed on pavement to prevent collapsing during aftershocks. Damaged building in Gloucester Street, just beyond the fence, with heavy metal braces installed to stabilze it. Our route in yellow, with places where we stayed for the night as yellow circles. 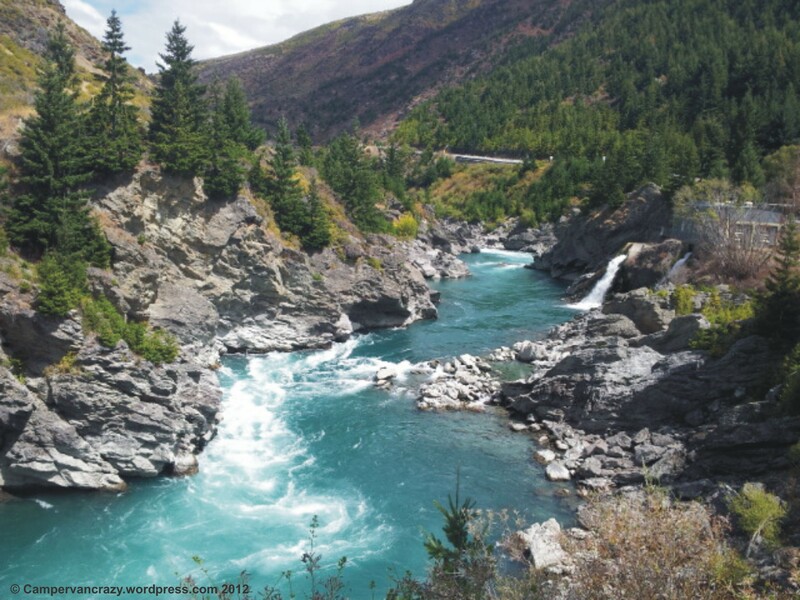 Queenstown is the center for all kinds of action sports, including bungee jumping, hang gliding, white water rafting, heli skiing and mountain biking. Queenstown’s Kawarau Bridge was the first place in the world to commercially offer bungee jumping to tourists. Queenstown is also the entry gate to the Fjordlands in the south and southwest. With our 5-month-old baby daughter we took it easy, skipped all the high adrenaline activities and instead took a cruise on a 100-year-old steam boat on Lake Wakatipu, including a visit to a farm on the other side of the lake, with sheep shearing demonstration and tea and cake. The local caravan parkdeserves a special mentioning: The buildings and open-air facilities are scattered with industrial iron objects like steam boat chimneys and parts of old bathroom pluming, some probably dating back to the beginnings of the industrial revolution. All are lovingly and expertly incorporated in the modern structures of the caravan park. 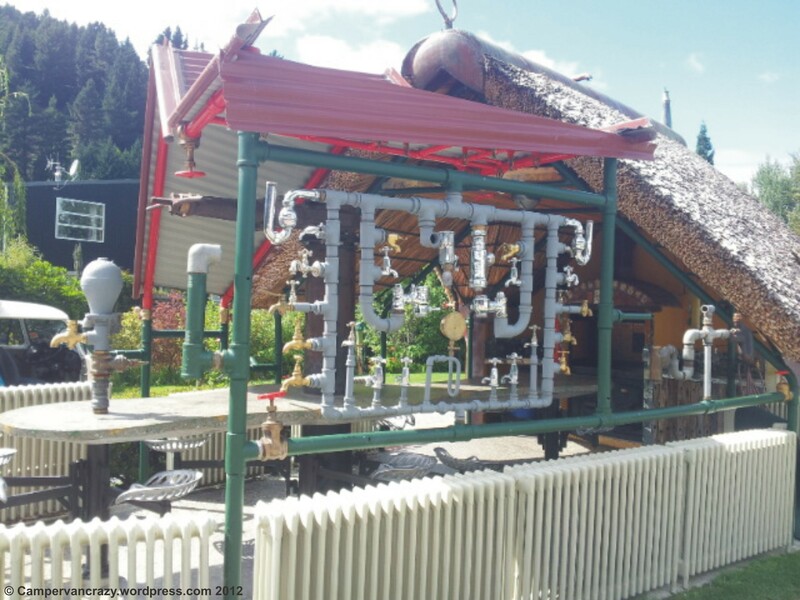 It turned out the caravan park is run by two former plumbers who collected all these objects all their life and now put them on display – brilliant! BBQ facilities made from old heater units and water tabs – brilliant! Queenstown is the starting point for the journey to Milford Sound, probably the most famous of NZ’s fjords. As there is only one road leading to Milford sound, the return trip realistically takes three days with our slow car. With only 4 days left till the end of our trip, we decided to skip Milford Sound and instead start the way to Christchurch from where our return flight would depart. So after two days in Queenstown we started northwards. 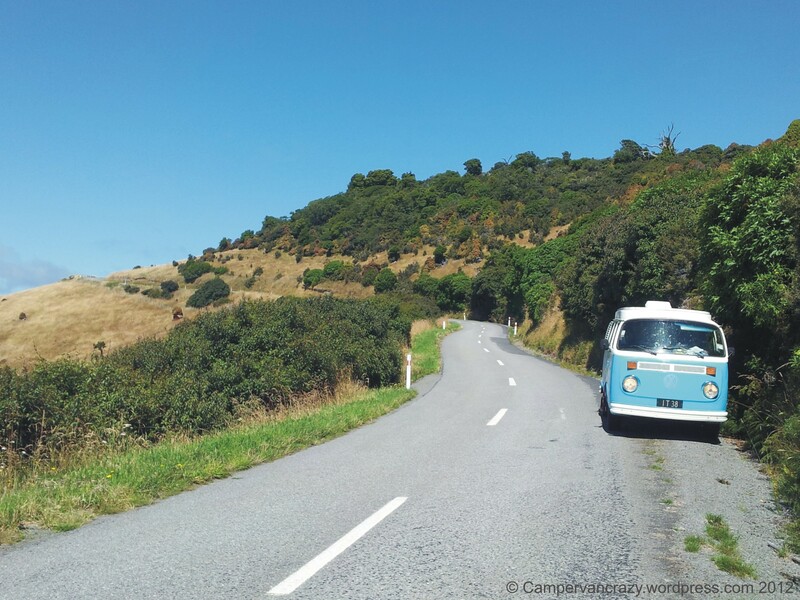 On a sunny day we first headed eastwards towards Cromwell through beautiful windy steep mountain roads. Roaring Meg outlook, at the Kawarau River between Queenstown and Cromwell. In Cromwell we turned north. About half way between Cromwell and Omarama, the highway climbs up to the Lindis Pass (971 m above sea level). 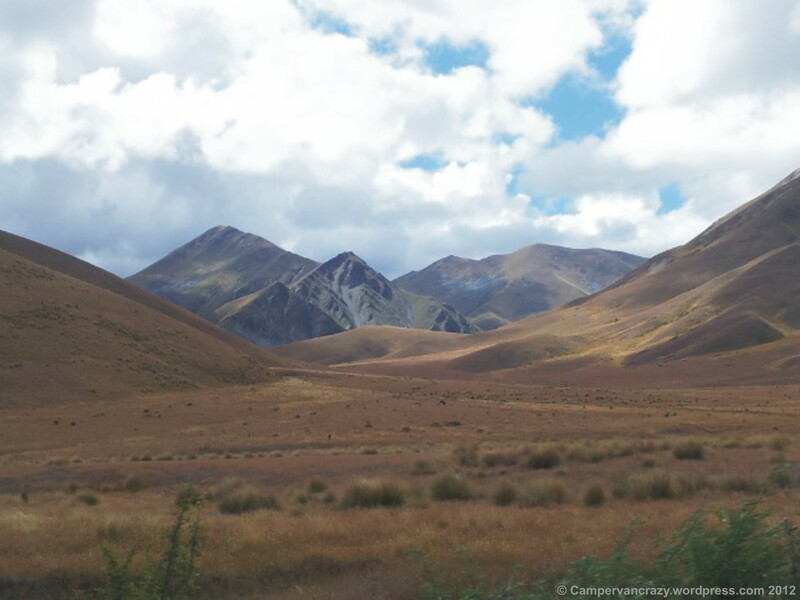 For us the tree-less landscape was amongst the most impressive views in New Zealand. Road leading up to Lindis Pass, between Cromwell and Omarama. Panorama view from Lindis Pass westwards into the Southern Alpes. We drove on northwards on State Highway 8 and stopped for the night at the Mount Cook outlook at the south end of Lake Pukaki. 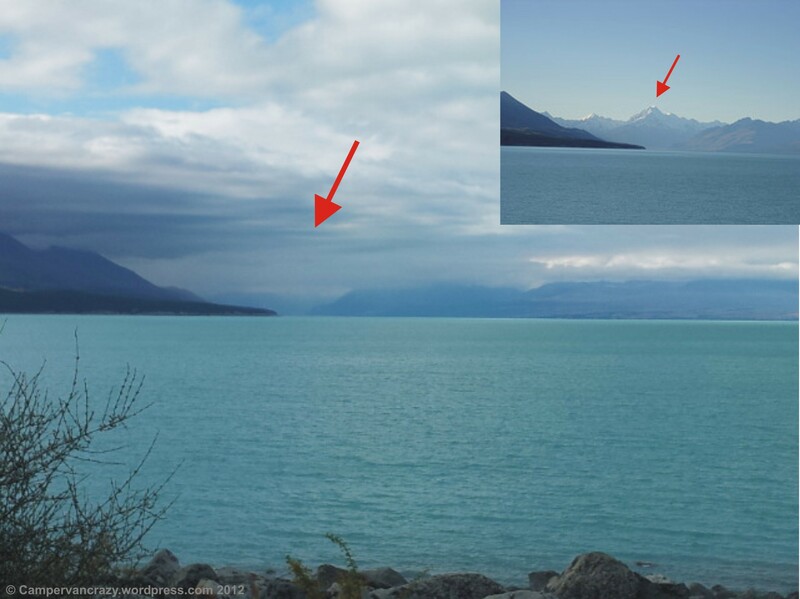 On a clear day, one can see the snow covered Aoraki or Mount Cook , with 3754 m the highest peak of New Zealand. It was the training ground for Sir Edmund Hillary before he set out to climb the Mount Everest. We had no luck because clouds blocked the view to Mount Cook both on the evening when we arrived and all morning before we left again the next day. While we had breakfast, we became an attraction ourselves to in total 4 bus loads of Chinese tourists who all took the same photo of clouds before Mount Cook, but also of the weird but friendly Western couple with the cute baby in the very small campervan. Not long after we left and headed further north in the direction of Christchurch, the sun came out again and it became a beautiful summer day. View from Mount Cook lookout - Lake Pukaki with Mt. Cook (red arrow) hiding in the clouds. Inset is from a better day, taken from http://www.flickr.com/photos/prodriguezmad/4381235719/. On the way from Mt. Cook lookout at Lake Pukaki to Christchurch. After so many mountains, the rest of the way was surprisingly flat, and on the state highway we quickly reached the outskirts of Christchurch. 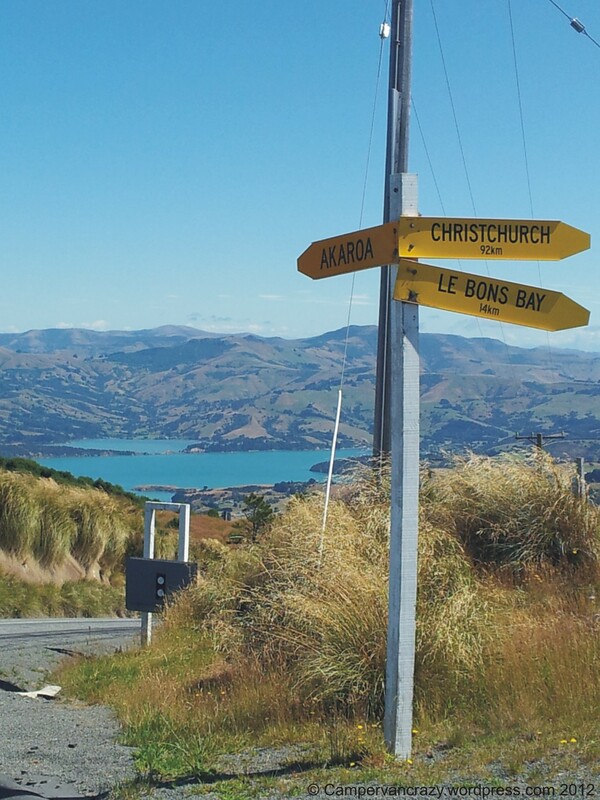 Here we turned east for a visit of the Akaroa peninsula, southeast of Christchurch. This peninsula is formed by the craters or calderas of two large volcanos. 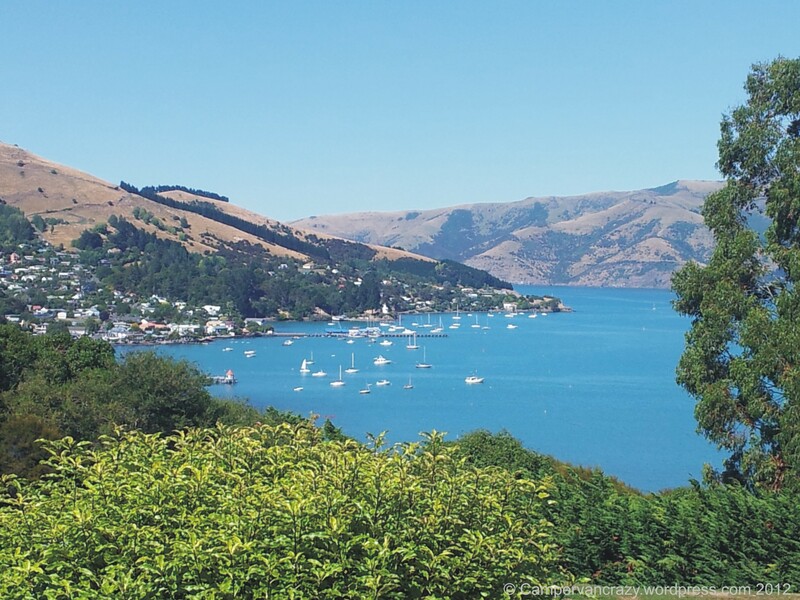 The road started to climb up again through hills and then mountains, and finally descended into the village of Akaroa at a bay and natural harbor in the middle of the second volcanic crater. we spend the night at the local caravan park, with one of the steepest access roads we had encountered so far. Panorama of the first caldera on the Akaroa peninsula. View into the second caldera on the Akaroa peninsula, with the village of Akaroa and its natural harbor in the bay in the center. 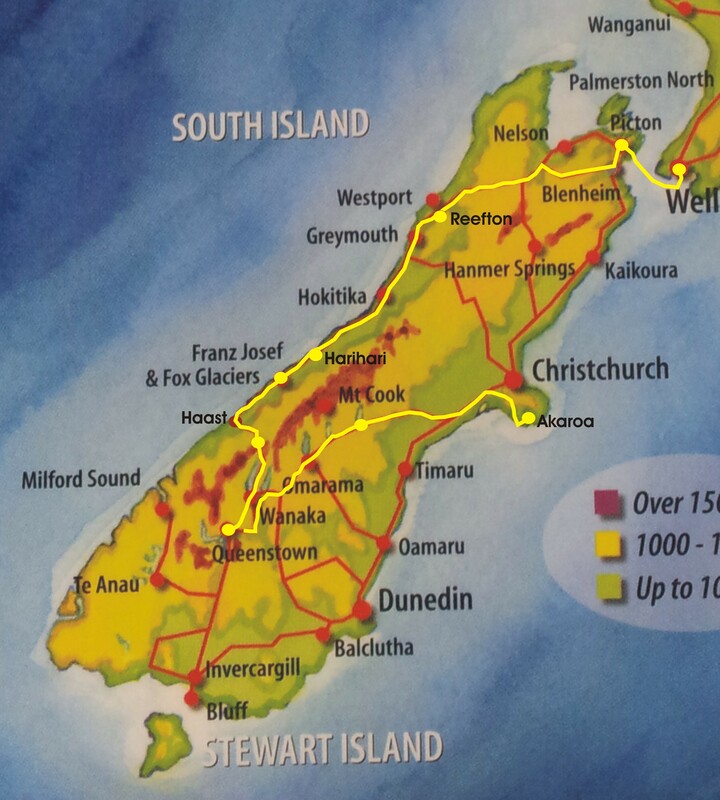 Our route on the South island in yellow, with places where we stayed for the night marked with yellow circles.